About Us - Gary's Collision Center - For all your auto body needs! Stop by to see our state-of-the-art facility at Gary's Collision & Customs! We are located at 304 E. Washington St., Freeport, IL. We recently expanded the shop for a second time, adding additional stalls, a detail bay and drive-thru estimates! 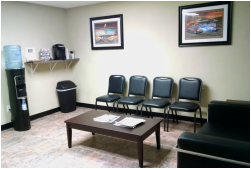 While waiting for your estimate in our office, enjoy a complimentary glass of water, coffee or hot chocolate in our brand new waiting lounge! Here is our Paint Mixing Room with Computerized Paint Matching. Brand New, State-of-the-Art Downdraft Paint Booth. Meet the owner of Gary's Collision Center, Gary Altensey. Gary has over 18 years experience of hands on training in the Auto Body Repair field. He also graduated from Wyoming Technical Institute(WYOTECH) with an associates degree in Collision/Refinishing Technology & Management. Gary has earned certifications with the Automotive Service Excellence(ASE) program making him a certified collision repair technician. Meet our head of Marketing and Business Office Manager, Andrea. Andrea has a bachelor's degree in Graphic Arts Communications with over 7 years experience in marketing, advertising and business. Andrea also has a passion for cars and is a photographer, graphic designer and an artist. 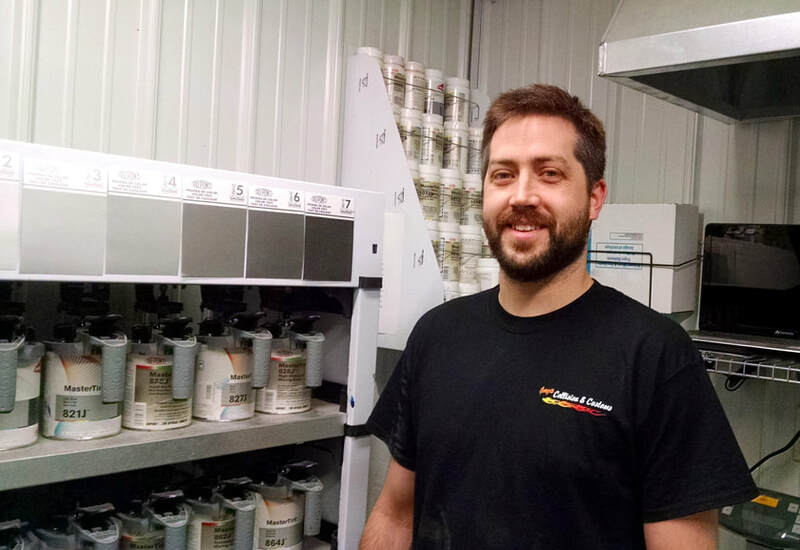 Meet our Paint Technician, Justin. Justin brings over 10 years of paint and auto body experience to our shop. Justin has I-CAR certifications in auto painting and tinting techniques. 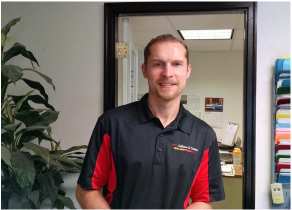 Jamie joined the team with over 10 years of experience in the Auto Body field. Jamie has ASE Certifications in Auto Body Repair and Refinishing. Meet the manager of Gary's Auto Detail, Brian Borger. Brian brings over 20 years experience in business, and has a passion for cars. If you are in need of our detail services, give the detail shop a call at 815-616-8407. Ashtyn is a detailer at Gary's Auto Detail. 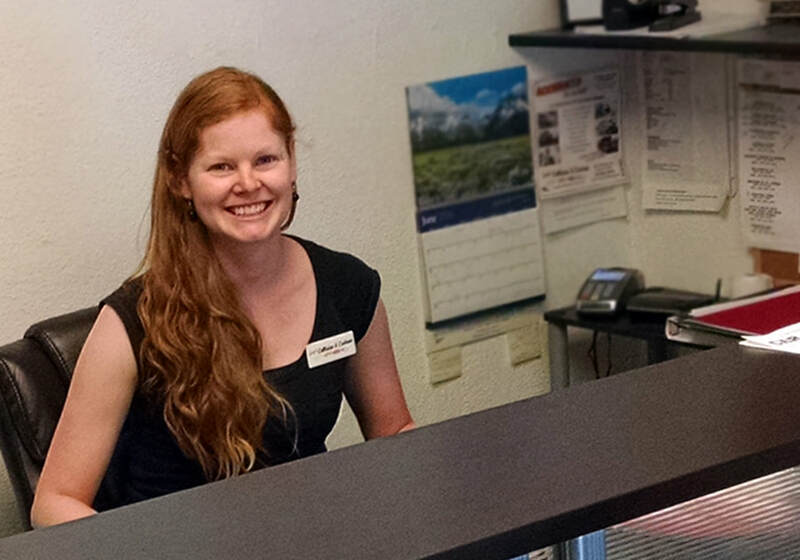 She has experience in detailing, and is committed to quality work! "My vehicle was rear ended and I took it to Gary's. I have felt welcome from the first moment I arrived, didn't have to worry about anything with the insurance company. Gary and his great staff handled it all. The work was completed perfectly and will recommend him to everyone. Thank you!"